This is a quick video of Beast looking dapper in her collar and playing with the Jackson Galaxy Air Wand! The Pettsie breakaway cat collar with bow tie is specifically designed with your feline friend in mind. There are 4 major color/style combinations available for this particular collar set and they all not only look great, but they’re all incredibly well made and have all the necessary features for your cat to stay safe and sound. The most important feature of any collar for a cat is the breakaway clasp or connector. If you’re not familiar with cat collars, this basically means that the collar should release under any significant amount of pressure and fall off of your cat. To say the least Pettsie has this part knocked out cold. The breakaway clasp in this collar works really well. It is firm enough that it’ll stay on pretty easily and it is super easy to put it on too. But on the more important side of things, it pops off when you need it to. You can test this easily yourself by just tugging on it. Why you might ask? Well, our feline friends love to climb and walk into areas that their collars can easily get stuck on. If your cat happens to go up somewhere high and jump down for example, the collar could easily snag a branch and end up choking your poor kitty if you don’t have a breakaway clasp. This isn’t something we typically worry about with our canine friends because they stick to the ground for the most part. made of 100% cotton so it is very comfortable to wear, really soft and really lightweight too. This means your cat hardly notices it is there. My cat Beast previously tried other collars and wouldn’t tolerate them very well, but she doesn’t mind the Pettsie collar at all. The bow tie is made of wood and is small enough to not bother your cat at all, but they certainly look dapper with it on! What about size you may ask? It will fit a wide variety of cats because it is designed to be adjustable to a wide range of sizes. You’ve got a spread of about 3 inches total which is a lot of space for a cat neck. In this case it’ll run from about eight to eleven inches. If you’ve never measured your cat’s neck before, be sure you do so before you order this collar. You’ll want to leave space for about two fingers inside the collar as well so it doesn’t choke your cat! One last thing worth noting is that this comes with a friendship bracelet for the human you are giving it to. My personal opinion is that the friendship bracelet is fine and it is comfortable, but I personally don’t wear mine around at all other than for silly pictures with my cats etc. See the picture to the left for both the collar and the bracelet in use. Beast wasn’t feeling very photogenic that day! I would say this is the one reason I didn’t give it 5 stars. I’d personally rather they knock a dollar or whatever off the price and ditch the bracelet. That being said, if you’re giving it as a gift it might be a perk for you. What is the width of this collar? It is about a half an inch in width. What is the length of the collar? The collar runs from 8-11 inches depending on how you set it up. It fits both my 8 and my 12 pound cat pretty easily with a slight adjustment. How much pressure does it require for the collar to breakaway and does it work as expected? It definitely works as expected. It requires a significant tug, but any real weight on it would definitely result in the collar popping open/off. Your kitty is safe! Can you remove the wooden bow tie? It isn’t designed to be removed, but with some effort you could definitely pull it off. It might require a utility knife to cut the loop that holds it on though. Cats are pretty notorious for not really liking to wear collars. That being said, you really should have your cats wear a collar from a safety standpoint. 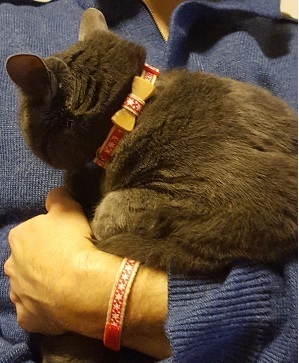 Even indoor cats can benefit from a collar because a large percentage of indoor only cats do manage to get outside at some point in their lives. Not only this, but it is almost always on accident and they aren’t really used to the environment because they are indoor only! A collar can make all the difference in ensuring you get your kitty back. 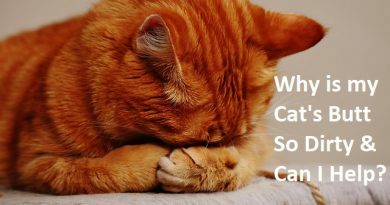 If you have any questions on why a cat should wear a collar be sure to read this article. 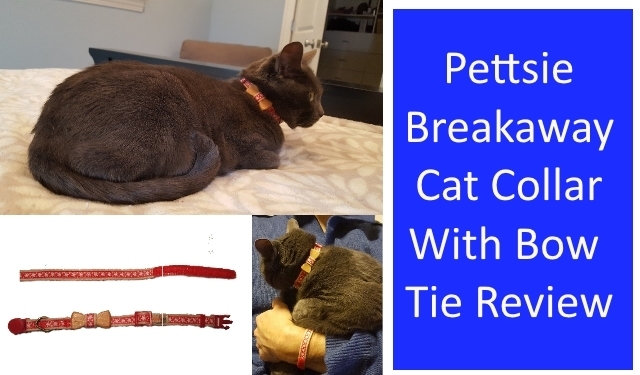 That’s about all I have to say on the Pettsie Breakaway Cat Collar. 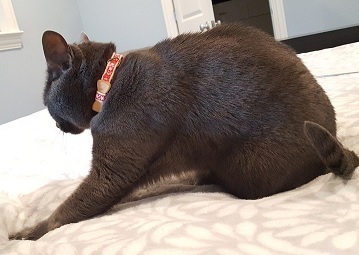 It’s an excellent collar on the overall and it has all the key features you want in a collar for your feline friend: breakaway clasp, comfortable cotton material, D ring for tags and a bell, adjustable size wise, stylish and durable. On the overall it is pretty difficult to find a better cat collar on the market. As I indicated, the only thing I don’t love about it is the friendship bracelet and that is just when I bought it for myself. If you’re buying it for a friend or as a gift it is kind of a nice little addition. But I could personally do without it. 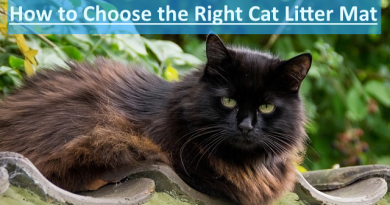 Do your indoor cats wear collars? What about your outdoor cats? 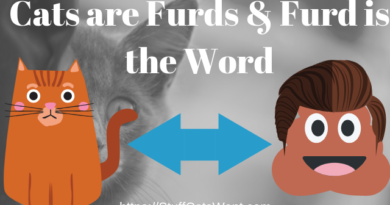 Please leave a comment below or email me directly at Craig@StuffCatsWant.com if you have any thoughts to add to this article. If you also have any comments on collars or recommendation on another high quality collar then please let me know! My thoughts exactly. Just seemed unnecessary…Oh well, I guess some folks are more cat crazy than I am! I have a 3-year-old kitty, For her, I always use breakaway leather collars they are less likely to cause hair loss. Leather collars do a great job as well! I have a whole post dedicated to my favorite leather collars for cats you can read.